Opportunity knocks to move right into this charming newly established neighborhood! 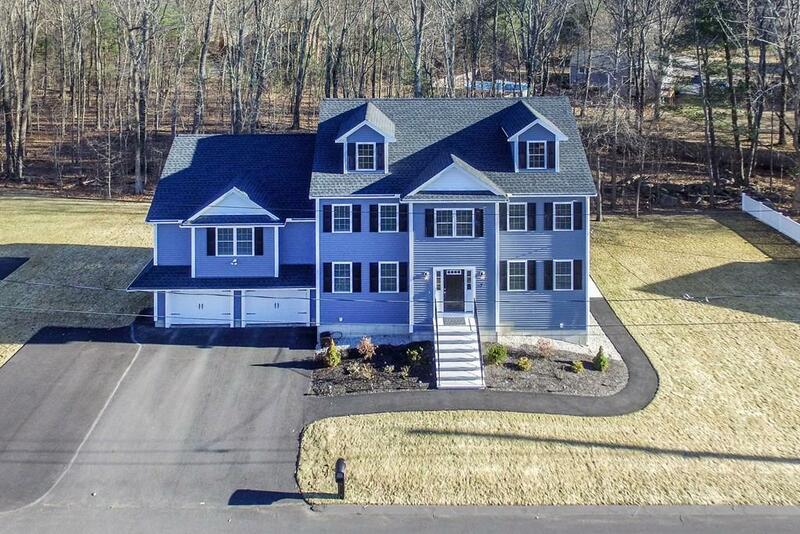 For the buyer seeking new construction with the convenience of the Commuter Rail this well appointed home could be yours! Special kitchen features include double oven, extended island w/ pendant lights, French door refrigerator & 5 burner gas stove top. The center piece to any home this kitchen in accessible by just 1/2 staircase from garage and is directly off the front door foyer. It has sliders to 8 x 20 composite deck & 1/2 staircase to 24 x 24 great room. The separate dining rm has chair rail & wainscoting, chandelier included, columns to kitchen and is off the foyer. Two bathrooms upstairs both w/ double vanity sinks w/ carrara porcelain tops. One w/ soaking tub and master shower w/ tiled seat. Enjoy wall to wall carpets upstairs. fourth bedroom is 12 x 11 w/ closet & attic entrance. Builder finished basement space w/ full bathroom, 14 x 14 fifth bedroom and open floor plan w/ slider to yard. Selling Office: J. Borstell Real Estate, Inc.